A few weeks ago someone on my town’s Upcycle facebook page was giving away a box of cookbooks. I went and took a few, including a book called Hearty Casseroles. It’s all pretty quick, simple things, like this dish that takes max a half an hour and a single pan to prepare. 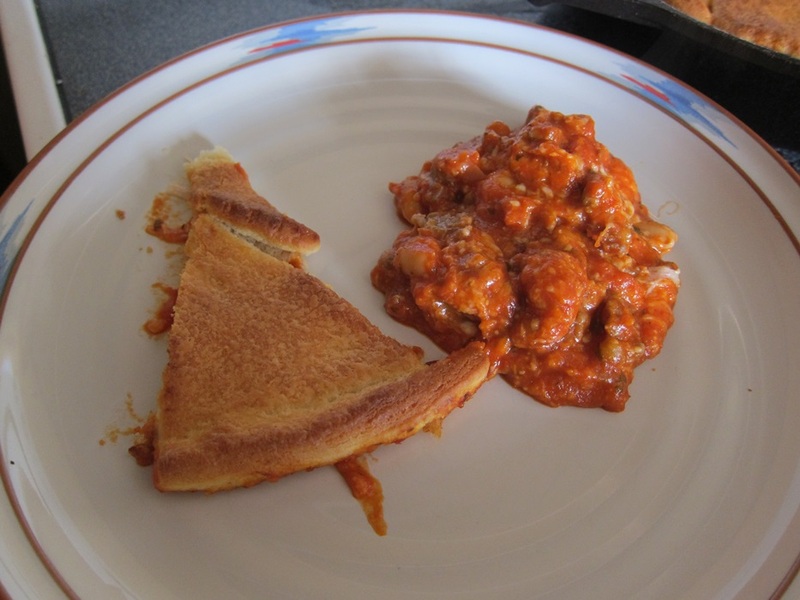 I will be happy with almost anything with cheese and tomato sauce, so I may not be the best judge, but I thought this was really quite delicious. 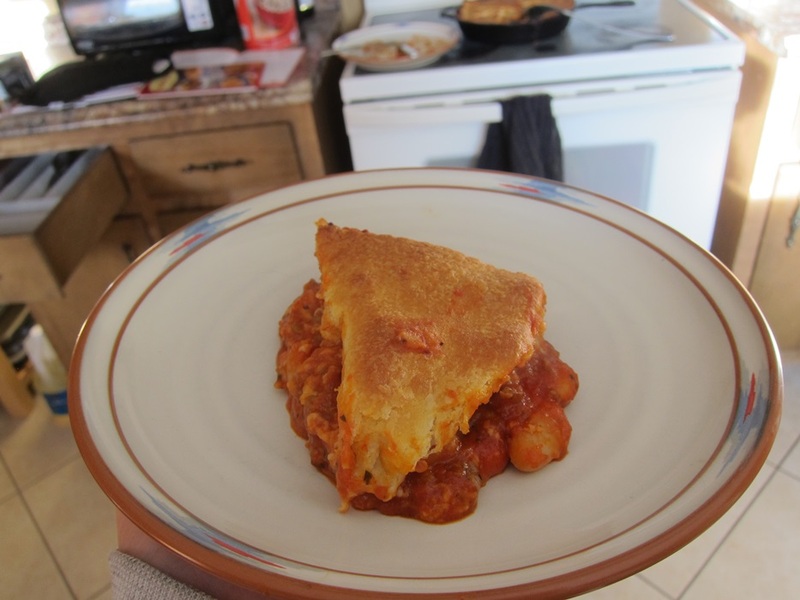 The flaky crust goes well with the …glop? underneath, making a warm, filling, delicious meal! 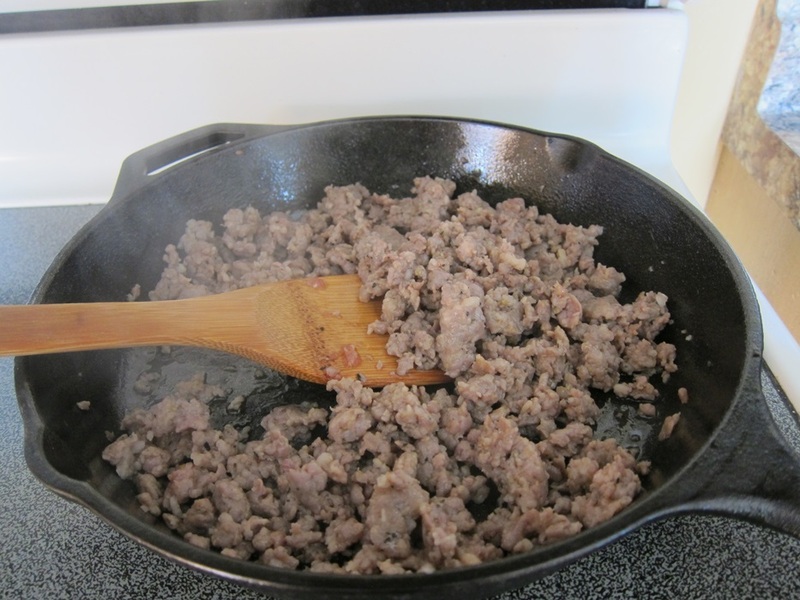 Remove the sausage from casings, and brown in a medium cast iron skillet, stirring to break up the sausage. Drain excess grease, if there is enough that it can be poured off. 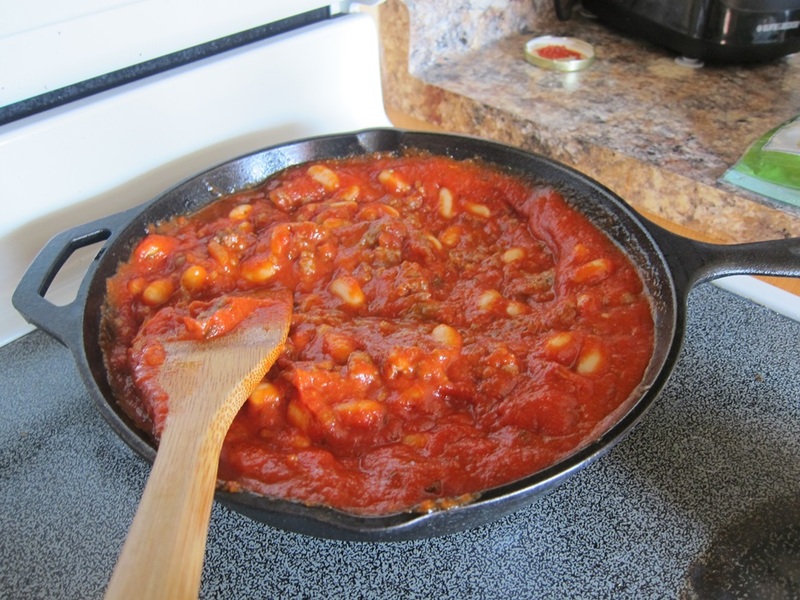 Add the spaghetti sauce, beans, and thyme, and stir together. Simmer for 5 minutes, stirring occasionally. Remove from the heat and stir in the cheese. 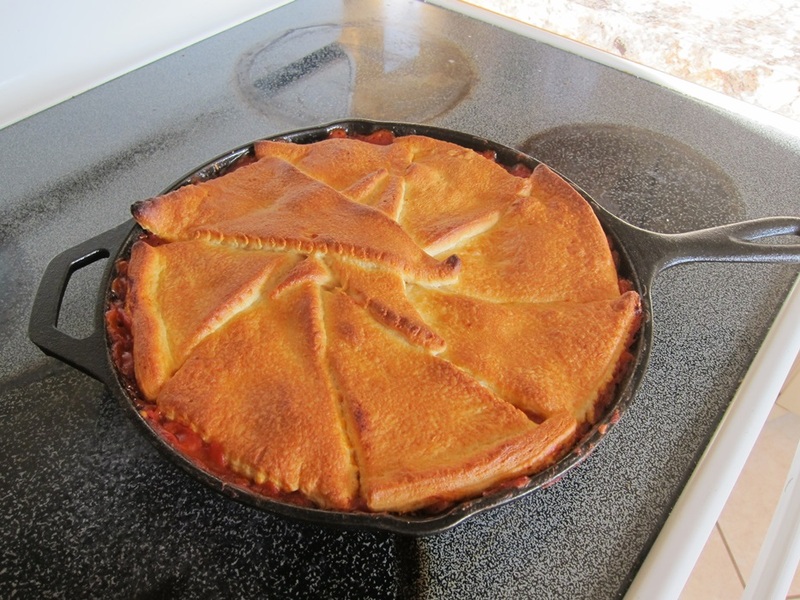 Arrange the crescent roll dough, points towards the center, covering the sausage mixture completely. It’s probably possible to arrange these in a more aesthetically pleasing way, but…it’s gonna taste good either way. Bake 12 minutes, or until golden brown on top and bubbly underneath. After that, you’re done, and it’s delicious! Get to it! From Hearty Casseroles by Louis Weber. 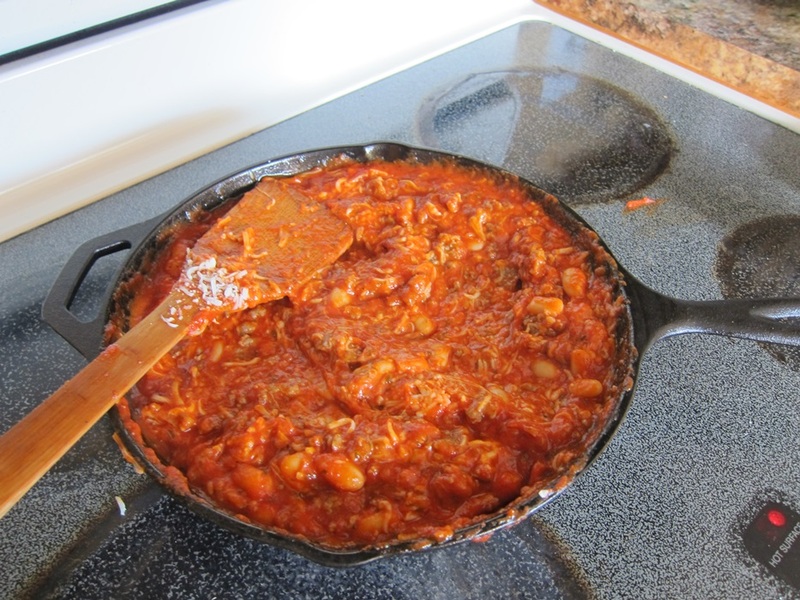 Remove the sausage from casings, and brown in a medium cast iron skillet, stirring to break up the sausage. Drain excess grease, if there is enough that it can be poured off. Add the spaghetti sauce, beans, and thyme, and stir together. Simmer for 5 minutes, stirring occasionally. Remove from the heat and stir in the cheese. 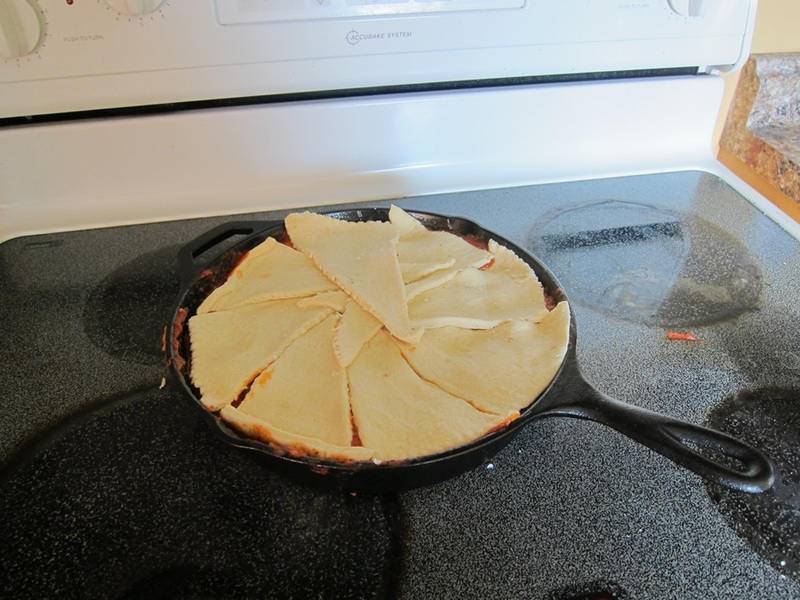 Arrange the crescent roll dough, points towards the center, covering the sausage mixture completely. Bake 12 minutes, or until golden brown on top and bubbly underneath. 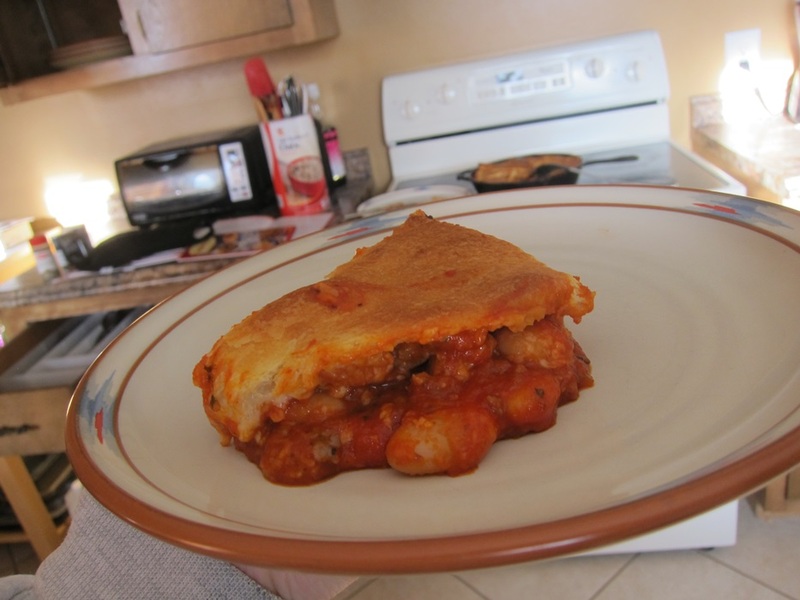 This entry was posted in Dinner and tagged casserole, cresecent rolls, Sausage, yum. Bookmark the permalink.